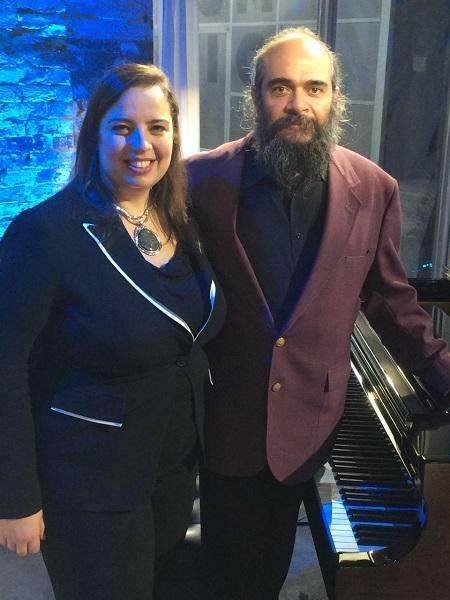 Anna Shternshis and Psoy Korolenko collaborated to bring Yiddish songs from World War II back to life. One of the scribbled notes and lyrics uncovered by historian Anna Shternshis that were confiscated and hidden by the Stalin regime. More than two million Soviet Jews were killed during the Holocaust, yet their lives and experiences are not well documented in Holocaust history. Historian Anna Shternshis first took on the topic of Jewish life under Stalin as an oral history project, but while she was researching, she came across an unexpected archive. 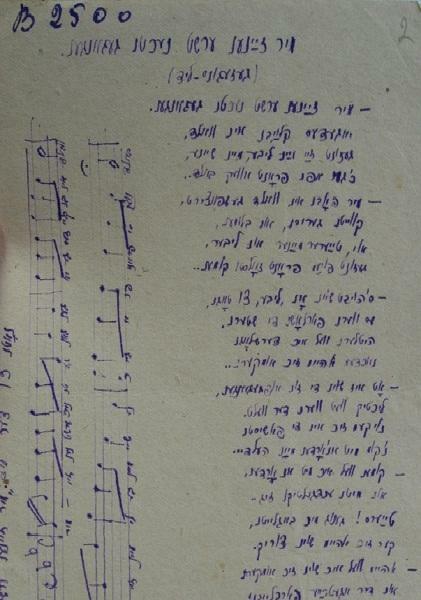 Shternshis discovered a collection of more than 150 Yiddish songs that detail the Holocaust as it happened. The songs were recorded and collected by ethnomusicologists during the war, but had been confiscated and hidden by the Stalin regime. After uncovering the archive, Shternshis joined forces with singer-songwriter Psoy Korolenko to bring the tunes back to life in a joint concert and lecture program. The two performed in Chapel Hill yesterday. Host Frank Stasio talks with Anna Shternshis about her research, and Psoy Korolenko performs live in studio.